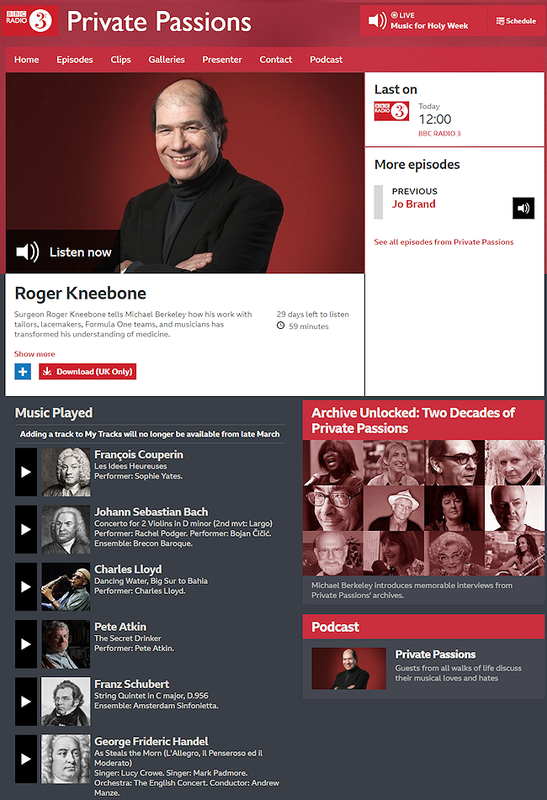 Do give a listen to the excellent Private Passions with guest Prof Roger Kneebone, a man of taste and discrimination who may - nay, will - pick something that may be on interest. Thank you Pete. What a delight to listen to the sane and civilised voice of Prof Kneebone. Time to listen again!